I’ve created many concept graphics over the years. 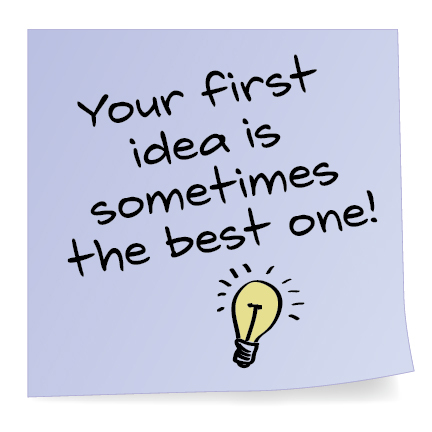 Some are just sketches in my book, others are random ones I wanted to test out, and of course there are the ones that hadn’t been chosen as project finalists. Through these experiences I can’t tell you how many times the final concept wound up resembling my first concept (or close to it). I remember the first time it happened. It was 1996 and I was working at Buffalo Games, which is a toy manufacture. 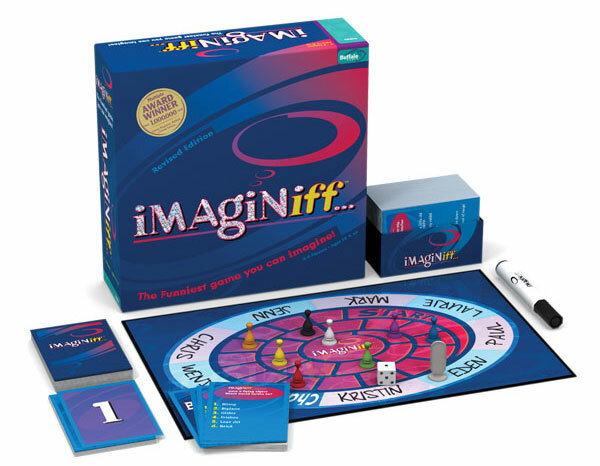 I had been tasked with creating a package design for a game called iMAgiNiff. Throughout the day I literally had gone through about 50 or so renditions. At 5pm the one that the team chose was pretty darn close to the first one I had done in the morning. My manager, at the time, clipped out a page from a PRINT Magazine, and taped it above my desk. His inscription read “A typical Day for Kristin”. 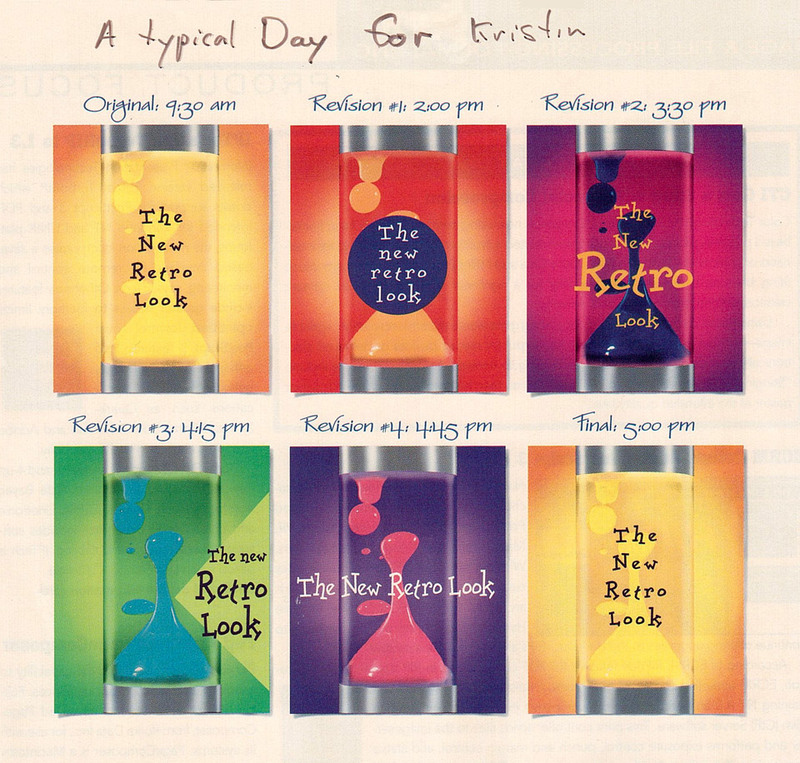 It was a graphic of 6 concepts, labeled with revision times, such as “Original 9:30 am”, “Revision #2 3:30pm”, etc until “Final 5:00 pm”, which was the exact same graphic as was done at 9:30 am. I found it so ironically perfect that the clipping stayed taped to my cabinet for the next 14 years I was there.